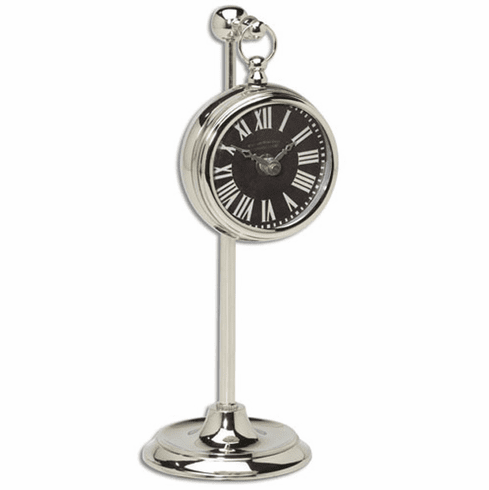 Timeworks' nickel plated brass pocket watch replica hangs on an adjustable telescopic stand. Stand adjusts from 7" to 12" in height. Requires 1-AA battery (not included).